Like the name of the style suggests, the beer has a distinguishing taste and aroma of smoke, achieved by drying the malted barley over an open fire. The method is believed to go back a long time, although it has just recently gained popularity outside of Germany. 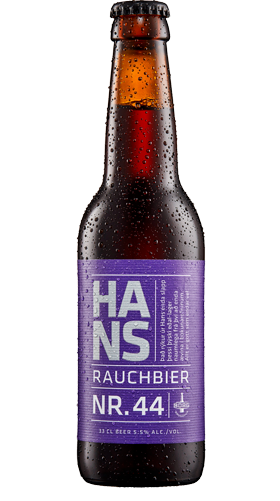 The name Hans is taken from Hansel and Gretel, and his sister Gréta, a Baltic porter, came out in 2014. Ingredients: Water, smoked malted barley, malted barley, hops and yeast.